State preemption laws prohibit local governments from enacting breed-specific safety ordinances to protect their citizens and pets. Below are materials for advocates fighting state preemption bills. 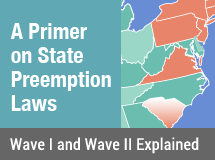 Begin by reading our overview that explains the history and current status of these state preemption laws. Then review the untruths often voiced by preemption bill backers. Download support materials to use in communications with state legislators. The 7 year trend showing that legislators are largely rejecting these bills is a great start. 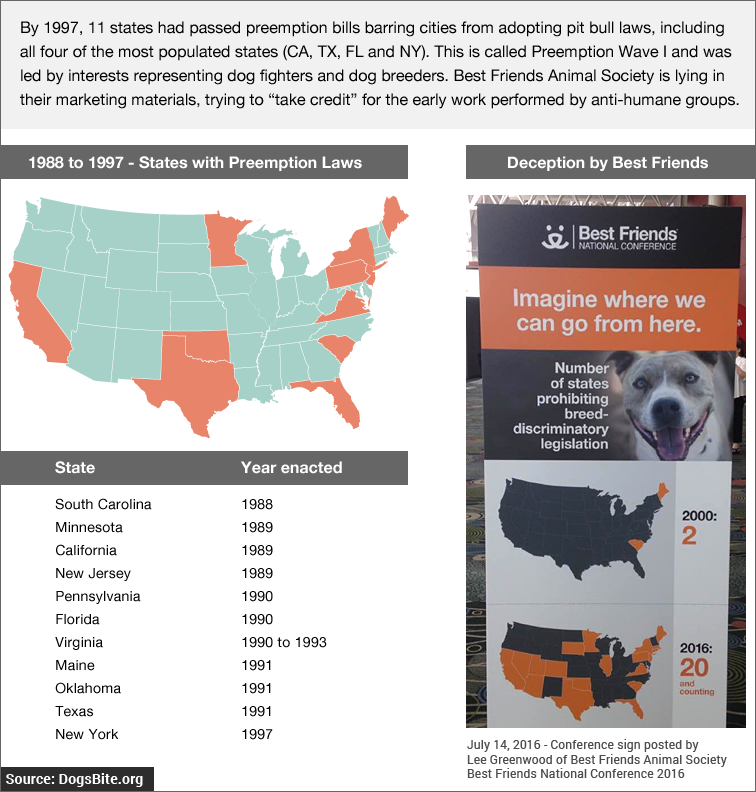 Read the 2016 legislative highlights and 2015 legislative highlights that detail the legislative process and how grassroots health and safety advocates and municipal associations are fighting state preemption bills that prohibit local governments from enacting breed-specific safety laws. 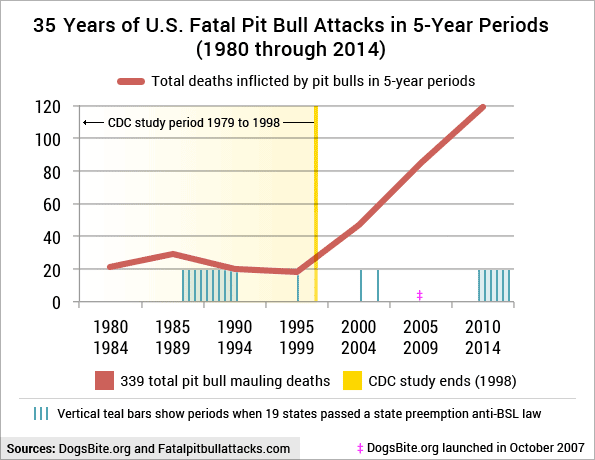 This 35-year chart portrays and contrasts 5-year periods of U.S. fatal pit bull attacks since 1980. Deaths inflicted by pit bulls have increased by 560% since the 5-year period of 1995 to 1999. 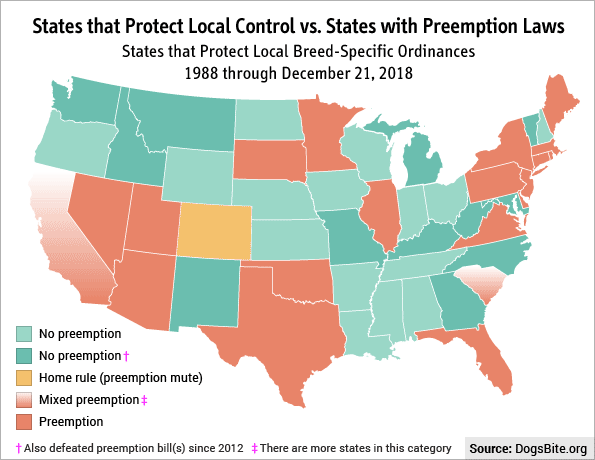 This U.S. map shows states that protect local control, allowing local breed-specific ordinances, and states with preemption laws. Please see a state-by-state breakdown of this map.